Your remote control is battery operated. Since batteries are consumable, they will eventually run out - the first thing to do is replace them. In addition, try moving the batteries about within the compartment, and cleaning the contacts; sometimes these become corroded, and won’t always conduct properly. Many garage doors come with multiple remote controls. If you have more than one, try using each one to open the door. If one works but not the other, you know that the system itself is working fine - the problem lies with your remote control. You’ll need to order a replacement. Most doors are fitted with a manual open/close switch within the garage. Try using this, if the door responds, then the mechanism itself appears to be working, and the problem is with your remote operation system. If the door doesn’t move, then the problem could lie with the opener mechanism itself and you’ll need to book a service appointment with one of our garage door repair technicians. If the door responds to the manual controls, then you know that it simply isn’t receiving signals from your remote system. This could point to a problem with the remote reception - the antenna may have become obstructed. Check it for any signs of corrosion, and try repositioning it. You should also check any wiring attached to it in case it’s become disconnected or detached. Each remote control system operates according to a specific wavelength. Each manufacturer usually selects a different wavelength for each product, and calibrates their door systems to ensure that your remote control doesn't open your neighbor's door (or vice-versa). Check your door’s manual to ensure that your receiver and remotes are set to the correct frequency, or they won’t be able to talk to each other. 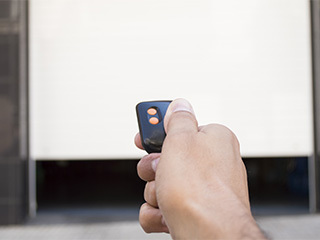 This simply checklist highlights some of the potential problems homeowners commonly encounter with their garage door remote systems. However, it’s by no means exhaustive; if you can’t identify the problem with your garage door, contact Garage Door Repair Rocklin today, and we’ll help you get it sorted.